It's not easy for an agency as boring as the Census Bureau to make news...unless they happen to say exactly what the Obama Administration and mainstream media would like them to. And so it is that we're now seeing news stories screaming "HALF OF ALL AMERICANS ARE POOR" at the same time those damn millionaire-loving Republicans are refusing to raise taxes on the rich. But if you read past the headlines and into the fine print and weasel-wording (which too many people won't do), the narrative that half of America is eating Purina Dog Chow and living in cardboard boxes quickly unravels. To begin with, statistics released as recently as September put the number of poor-ish people in the United States at 1-in-3. But even that highly-questionable number lacked the journalistic panache which the Left needed for their narrative... so the Census Bureau conveniently came up with a new way of measuring poverty which would include a lot more people than ever before, even though their economic status hadn't changed. In order to cook the books, the Census Bureau added new indices to their poverty measurement methodology. They now include the cost of medical coverage (which has gone up under Obamacare) and the cost of transportation (which has gone up under Obama's "War on Fuel") and other living expenses (which have gone up under Obama's "War on Employment"). Additionally, the news articles are lumping together as "poor" both those who meet the rather generous government definition of poverty ($26,675 for a family of five)...and those people with "low incomes" which are twice the poverty level ($53,350 for that same wretched family). But assets aren't included in the measurements, so people are still considered poor even if they're living in paid-for homes, driving nice cars, and have plenty of money in the bank. 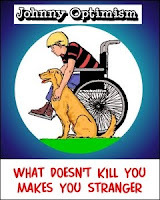 Are many people really hurting now? Of course they are - and Obama and the Democrats are eagerly making everything worse to increase dependency on government programs. But that's not the story that Americans are supposed to be hearing right now. We're supposed to believe that half of our country is starving owing to the oppression of the "Evil Rich" and that only Barack Obama, the self-proclaimed "warrior for the middle class," has the power to swing his vorpal sword and put things right. A story so ridiculous that it proves the mainstream media has completely taken leave of its census. Another surprising finding: bankers love the sound of orphans crying. In these tough economic times, it's been very, very, very difficult for the Obama Administration and the Democrats to find any government expenditures which can be cut. But fortunately, the president has finally found something we had way too much of: border security! Which is why the number of National Guard troops stationed at our southern border is going to be cut by at least half next year...with the proposed number of Guardsmen patrolling the California border reduced from 264 to just 14. Hang on. We've got to take a deep, cleansing breath before writing this next part which is truly staggering in its monumental stupidity. Okay. The Department of Homeland Security says that the troops aren't needed because our southern border is now more secure than ever. And how do they know that? Not because there are fewer people crossing the border and entering our country (which they have no way of measuring). But because Homeland Security, with its diminishing resources, is catching fewer people. Which must mean security is better! Right? Right...?! By this same logic, if we pull out all the National Guard troops and Border Guards, we won't catch anyone sneaking in...which will mean (in Washington, anyway) that we've achieved 100% effective border security which doesn't cost the taxpayers a dime! Of course, all of this only makes sense to someone who has way too much access to tequila. Which makes it painfully clear that this is really another thinly-veiled way for Barack Obama to throw open our borders (and increase the number of people demanding services paid for by the evil rich) during a hotly-contested election year. Come to think of it, maybe a shot of tequila isn't such a bad idea. 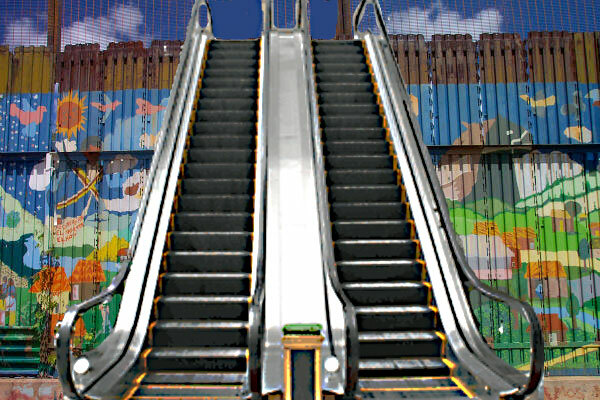 is bracing the Mexican-American border fence with sturdy escalators. 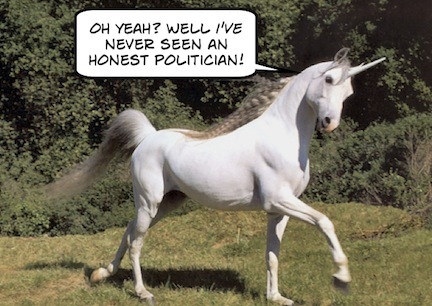 Breaking with the Whitehouse on a longstanding tenet of the Obama Administration, Harry Reid has declared that there are no unicorns. And if that was all he said, we really wouldn't have a problem with it. But his actual quote was that millionaire job creators are "fictitious," and "like unicorns, they're impossible to find and don't exist." Sort of like shovel-ready jobs, Harry? But is it true that there are no millionaires anywhere who own businesses and hire employees? And which government study came up with this nugget of information on which Reid is basing policy? The answer is that neither Harry, Nancy, Barack, or any other Democrat has actually looked for a millionaire job creator (or job creation of any other kind), but that Harry heard a story on taxpayer-supported NPR that their team of crack journalists went looking for one and, amazingly, failed. They're left by pixies under a trillion-dollar lettuce leaf. Not too long ago, our nation's top Democrats were praising Occupy Wall Street as if they'd hung the moon instead of just threatening to hang the Evil Rich. Not willing to be outdone, Barack Obama declared that the protesters "express the frustrations the American people feel" and told members of OWS "you are the reason I ran for office." All of which makes it sound like these upstanding, spontaneous, America-representing young patriots should get front row seats at the Democratic national convention in Charlotte next year. But noooOOoooo. 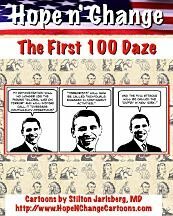 The Democrats have now realized that there are "bad optics" from having Barack Obama's anti-capitalist message shouted out by scraggly, mask-wearing, drug-dealing, child molesting, lice-infested anarchists instead of having it delivered on a massive stage with greek columns and patriotic bunting by a "clean and articulate" president with a sharp crease in his trousers. Which is why Charlotte has proposed an ordinance declaring that occupying tents in their downtown area would be an illegal "public nuisance." Just to put the icing on the cake, they're also banning "noxious substances," which should pretty much eliminate even those protesters who don't own a puptent. Considering the love that the Democrats claimed to have for OWS until now, you'd think they'd be making a loud outcry to make sure that this "voice of the people" can be heard loud and clear as we think about who'll be running the country for the next four years. Or just maybe, now that the American people have seen the filthy, angry, and idiotic results of what "community organizers" actually do, the Democrats would rather not offer up any reminders that this is Barack Obama's past...and our potential future. 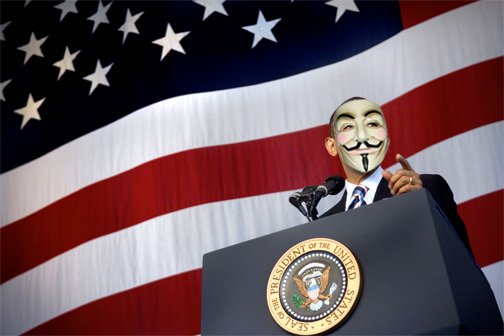 Obama needs a second term, because so far America is only half-Fawked.